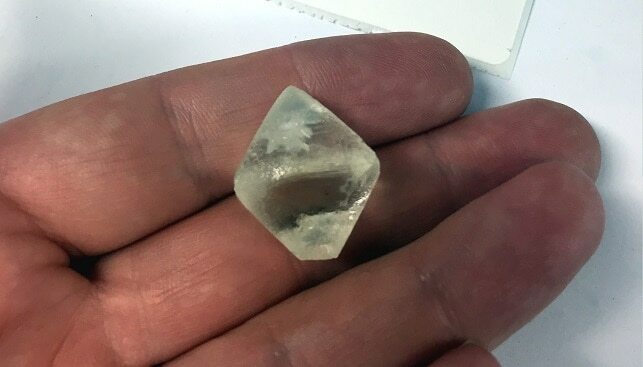 Mountain Province Diamonds has announced that diamond production at its Gahcho Kué diamond mine in Canada “achieved a record figure of 6.94 million carats” in 2018, IDEX Online reports. In the fourth quarter of 2018, Mountain Province sold 822,548 carats at an average value of $65 per carat, raking in a total of $53.6 million. For 2018, the company sold 3,252,491 carats at an average value of $74 per carat, raking in a total of $240 million. Stuart Brown, President and CEO, commented that 2018 was “a good year” in terms of production and that “so far in 2019, production has been positive”. The company commented that “diamond sales were in line with our expectations and reflect current market conditions. Prices for the better quality larger goods, where the majority of our value lies, remained strong throughout the year, however, during the latter part of H2 2018, lower qualities and smaller sizes experienced price pressure, driven predominantly by a weakened Indian Rupee against the US Dollar”.